DC schools Chancellor Kaya Henderson announced today she has cut the city's school closing list from 20 schools to 15. In addition, she said she would not send some middle school students to high schools or combine other schools for safety reasons stemming from neighborhood disputes. She said the system - which consulted with police and neighborhhod groups sees the potential conflicts as "powder kegs we are not ready to deal with. Saving money is important, but children's safety is more important." The five schools that survived the cuts are: Francis Stevens Education Campus, Garrison Elementary, Johnson Middle, Malcolm X Elementary and Smothers Elementary. 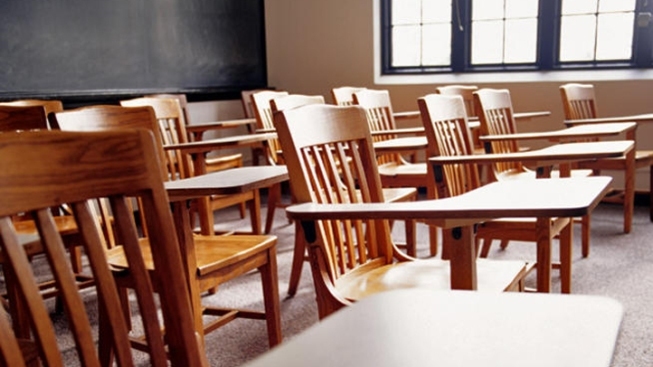 About 140 staff positions are still expected to be cut, but highly rated teachers are likely to be retained in other positions because of retirements and resignations. "I don't believe effective teachers will lose their jobs," Henderson told reporters. The revised list comes after weeks of intense community meeting and new enrollment figures suggesting some underutilized schools could see higher enrollments. "Consolidation is one piece of the puzzle," Henderson said. Henderson said she would use the estimated one-time savings of $20 million to improve course offerings and staffing at other city schools. The school system expects to save about $8.5 million in each of the following years. Those funds also will be used to staff arts, education and language classes, among others. Most of the changes will go into effect this fall or next year.